I think that you plan a trip to Venice because you’ve seen how gorgeous it is in pictures and in films. And when you go, the canals, bridges and alleys of Venice will totally fulfill your expectations by being as enchanting as you always imagined. But another reason to go to Venice (or indeed to Italy) is to eat, so it is no surprise that one of the highlights of our Christmas trip to Venice was a food tour with Walks of Italy. Our lovely guide, a Venetian native, took us on a tour of history via food, which in my opinion, is the best way to approach any subject. 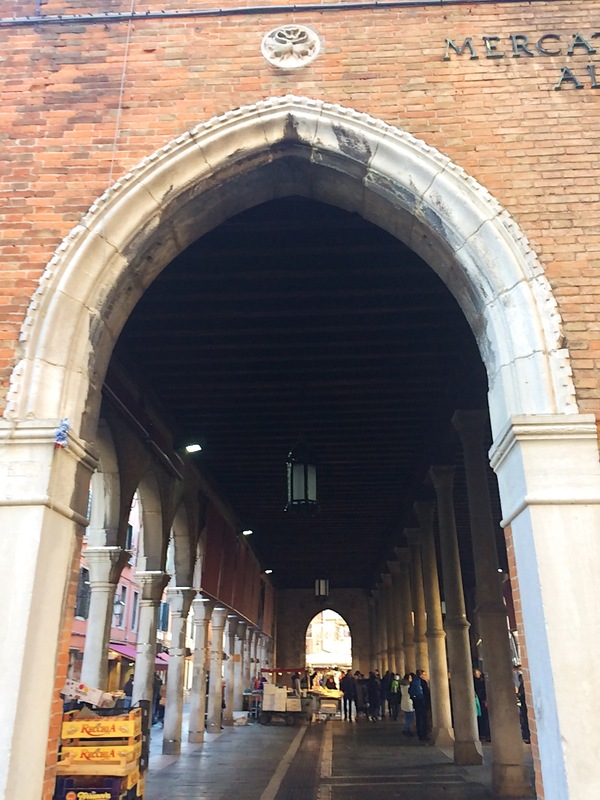 The fish and vegetable markets have been in the same place in Venice for centuries. The stalls are still filled by unloading boats that pull up in the canals. The fish market was wrapping up on the day we were there, a quiet day so soon after Christmas. Our guide pointed out these carved pillars that surround the area. I probably would not have noticed that they are covered with fish overlooking the market. As we walked through some of the more quiet corners of Venice, we learned that the markings of this very old food industry are everywhere. Even in the street and square names, you could find clues about what kind of shops used to be in the area. Calle de L’erbarol loosely translates to Street of Herbs, so this is where you would have come a few hundred years ago to get your herbs. Just when you were feeling a bit tired, or one of the kids wanted to stop walking, it was time for a little bite. 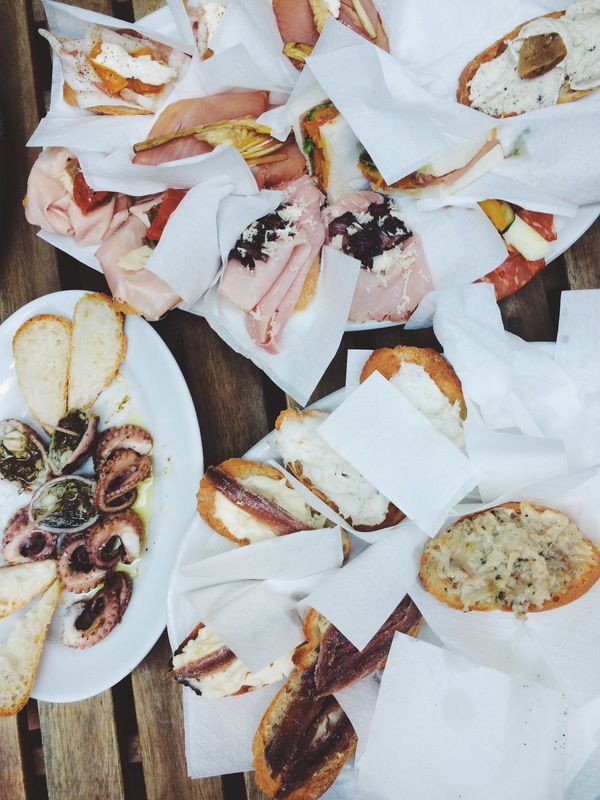 Cicchetti can be a variety of bruschetta or small sandwiches, or cheese and olives, or even little plates of fresh seafood. Of course, it’s a treat to have someone walk in, choose the very best there is on offer and order it all up for everyone to pass around. We had Prosecco and all kinds of little breads with toppings. I am a newly converted fan of Baccalà, a white fish that is cooked and whipped with olive oil. It’s creamy without being heavy. Delish! Another highlight of our tour was a quick traghetto ride across the canal. The traghetto is a gondola ride on the cheap, because it’s so short and the boat holds more passengers than the traditional gondolas. And she kept pointing out fun details. Like the most crooked door in Venice. Or like a bricked up corner in any alley exists to deter men from using the corners as latrines. We felt like our three hours of walking and eating in Venice flew by way too fast. We collected so many new bits of history and fun from our day of wandering Venice through its food. Also I love taking my kids on a tour where they are hearing from and being led by someone besides me or Taido. They have mastered the ability to tune us out, but when someone else is telling them new stories and old history, they are all ears! The sun was shining bright at the end of our tour, so Christina snapped a family photo for us before we parted ways. LOVE! 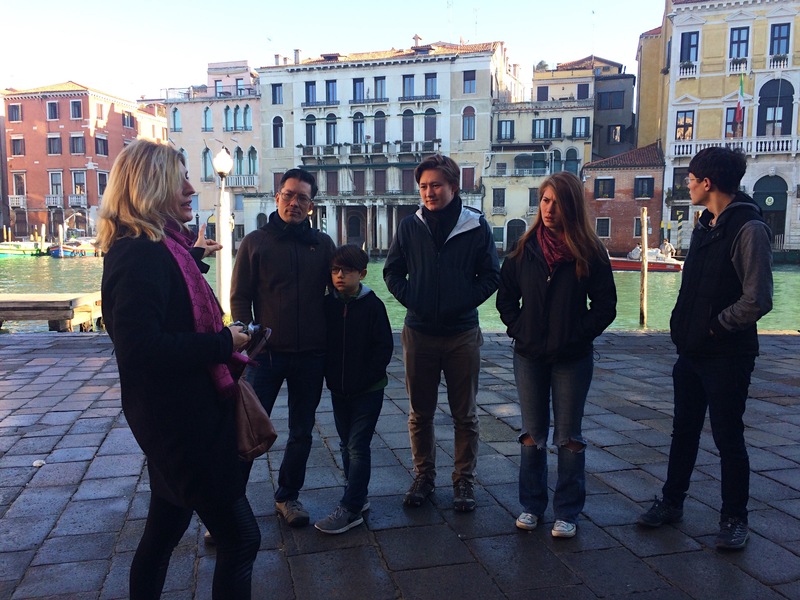 A big shout out and thank you to Walks of Italy, who hosted us on this lovely food tour of Venice. 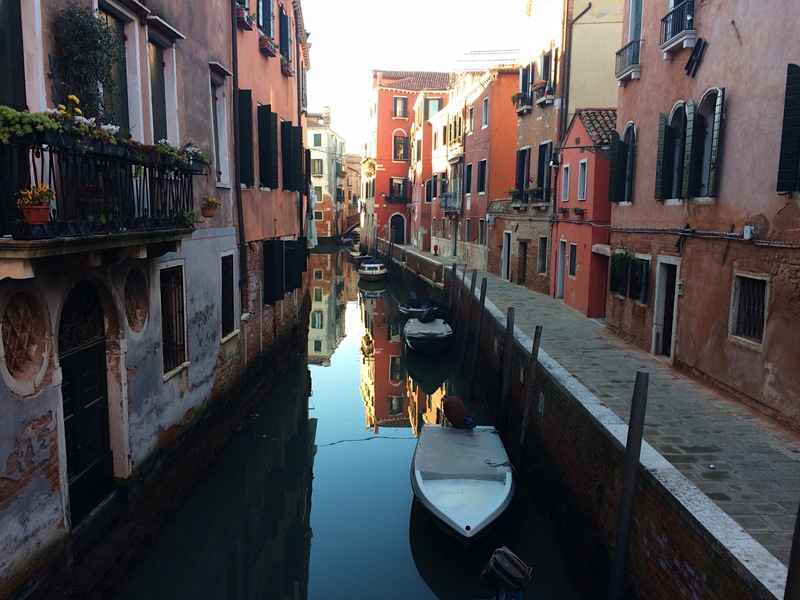 Walks of Italy is a great resource for planning your trip to Italy as they have tons of information on their website that will help you make the best of your time. I used the info on Venice every day while we were there. My recommendation is to book a tour early in your trip because you will gain insight that will enhance the rest of your visit to Venice. 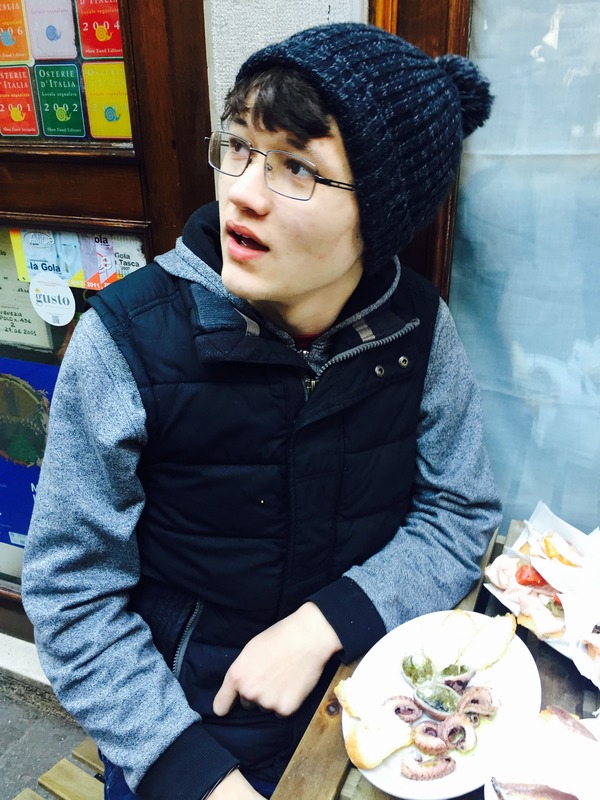 You can enjoy more photos from our trip to Venice. Or maybe consider subscribing to future posts.